Mercedes Ellington & The Friars Club celebrate Lifetime Achievement in Dance Award & Surprise film! Mercedes Ellington is not only Broadway Royalty, but also the ‘carrier of the torch’ for the critically important ‘Duke Ellington legacy’ here in the United States. She’ll have much to celebrate on December 20th at New York’s historic Friars Club. A Friar herself, Ellington will be celebrating the holidays with many, (listed below) who strongly believe it’s time she got her due as a philanthropist, historian, choreographer and esteemed Broadway hoofer. Columbus State University’s College of the Arts recently presented renowned dancer/choreographer/actress Mercedes Ellington with its 2017 “Lifetime Achievement Award in Dance” at CSU’s annual BROADWAY BALL on Friday, December 1 in Columbus, GA. The announcement was made by Karyn Tomczak, the Viki Jiles Flanagan Distinguished Chair in Dance in CSU’s Department of Theatre. “We are proud to announce the 2017 recipient of the award is Mercedes Ellington,” Ms. Tomczak said. “Ms. 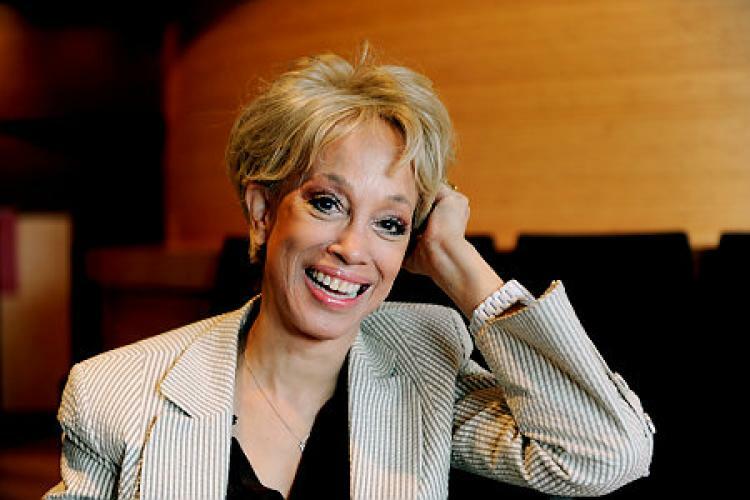 Ellington hails from an esteemed three-generation family in the performing arts, including her grandfather, the famous jazz musician and composer Duke Ellington, and her father, the popular bandleader, Mercer Ellington. The evening’s festivities at The Friar’s Club will culminate with a special screening of a fascinating documentary tribute filmed and edited by New York filmmaker Michael Lee Stever, and produced by Tomczak herself and revered producer and PR executive Les Schecter. 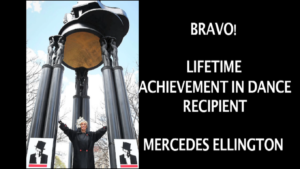 The short film features many of Mercedes’ friends, colleagues and comrades including Andre De Shields, The Hon. David N. Dinkins, Lee Roy Reams, Antoinette Montague, Pamela Hunt, Melanie LaPatin, Ty Stephens, Eli Yamin, Michael Dinwiddie, Tony Waag, Les Schecter, Karyn Tomczak and Sandi Durell. Check out Michael Lee Stever’s short film tribute to Mercedes Ellington. “Mercedes is a graduate of the Julliard School with a degree in ballet and modern dance and broke the color barrier in the sixties on national television as one of The June Taylor Dancers on The Jackie Gleason Show. She performed in the show for the next seven years and then launched her professional Broadway dance career in such shows as Sophisticated Ladies, No No Nanette, and The Grand Tour.